We had a great turnout for our annual Fall work party gathering with lots of old friends and supporters as well as many new faces. 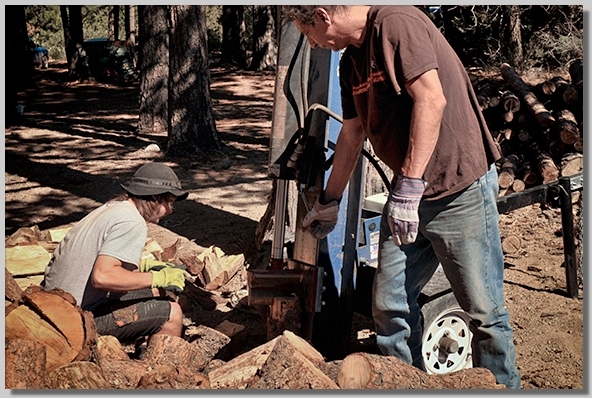 For the first time we used a log splitter allowing us to increase our production of firewood. 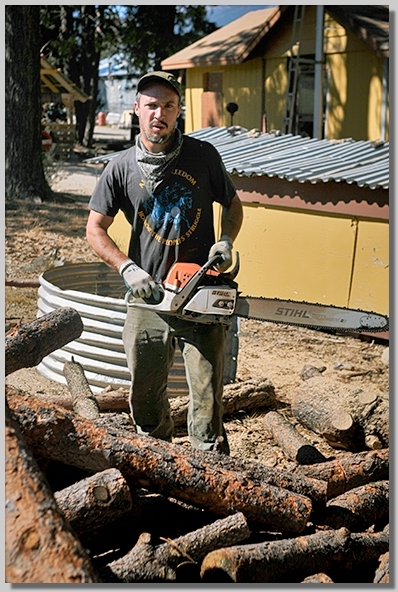 Several experienced volunteers used chainsaws to buck up logs for the splitter crew. 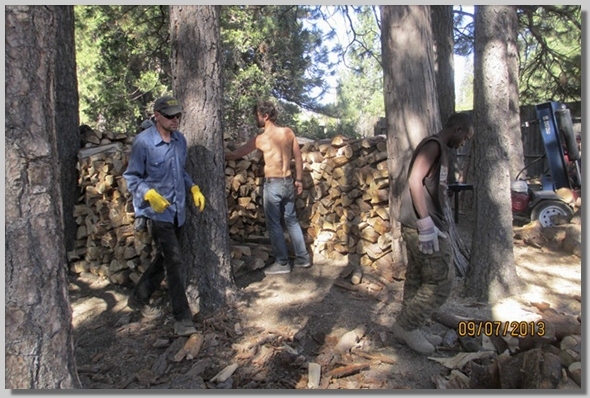 Meanwhile other crews brought logs in from our forest areas and helped build trails. 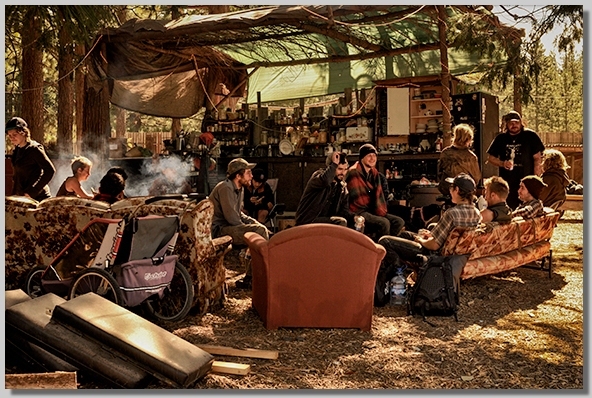 Over three days, we amassed a huge pile of firewood. Our newest BBCRC boardmember, "Radio-Active" Ron Angle set up his ATCS monitoring system so we knew when trains were going to be passing by. He also helped out as our camp medic/first responder. 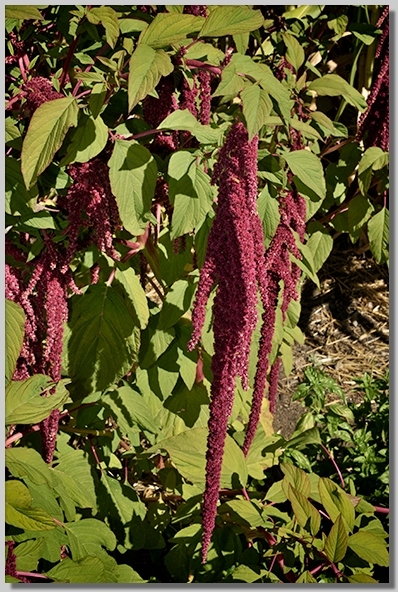 Amaranth in the garden: The work party was well-timed to take advantage of a ton of ripe produce from our organic garden project. 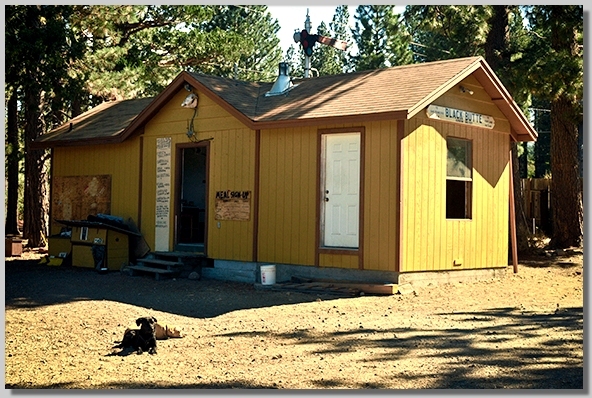 One major project was continued work on our office/caretaker residence expansion project. 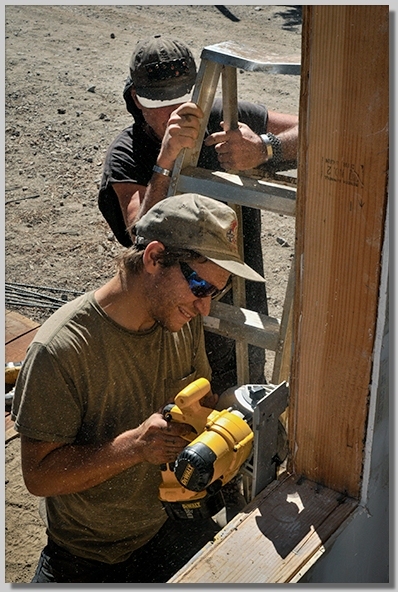 After a year of volunteer effort, the expansion is nearing completion. 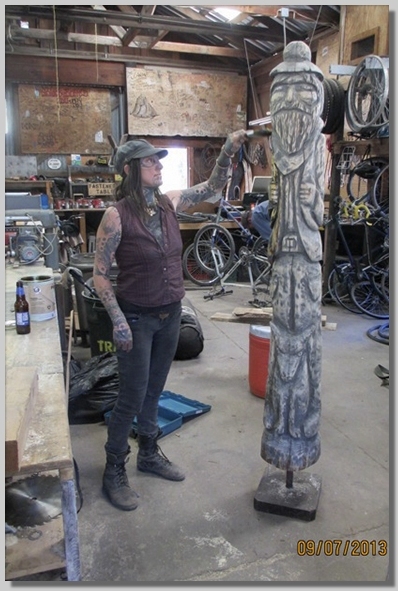 Emily completed work on a totem sculpture for Black Butte, made out of a pine log cut by the forestry crew earlier in the year. 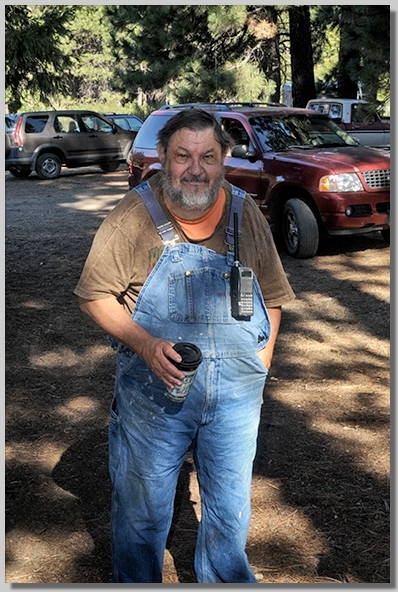 Some note a resemblance to a certain former Black Butte caretaker and a certain dog on the property!